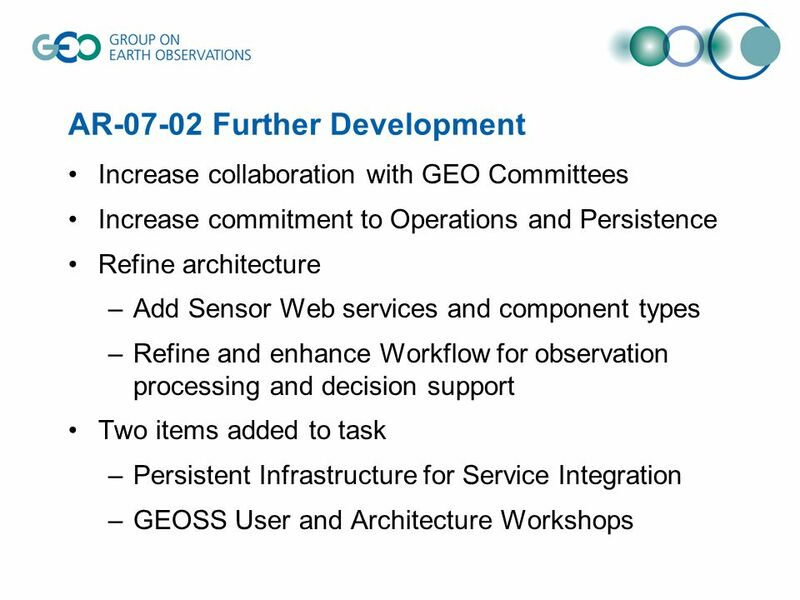 GEO Architecture and Data Committee Task AR-07-02 Architecture Implementation Pilot George Percivall Open Geospatial Consortium GEO Task AR-07-02 Point. 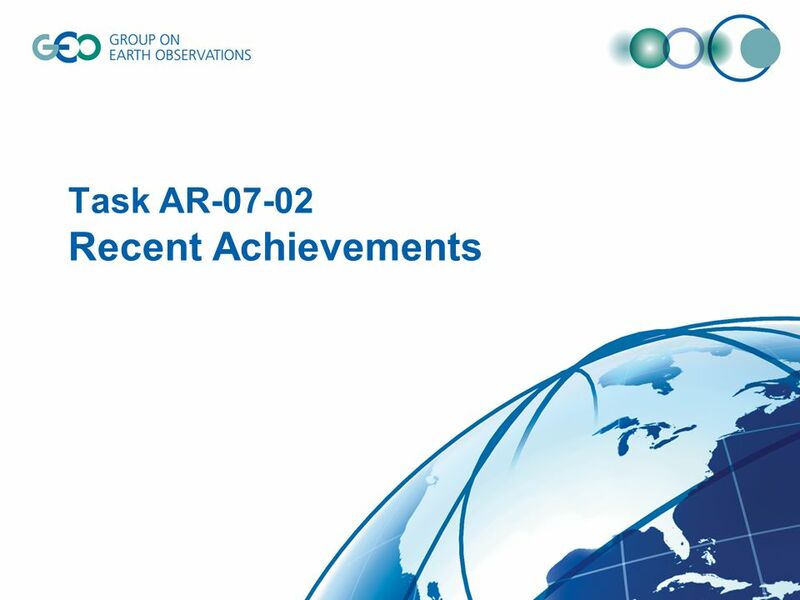 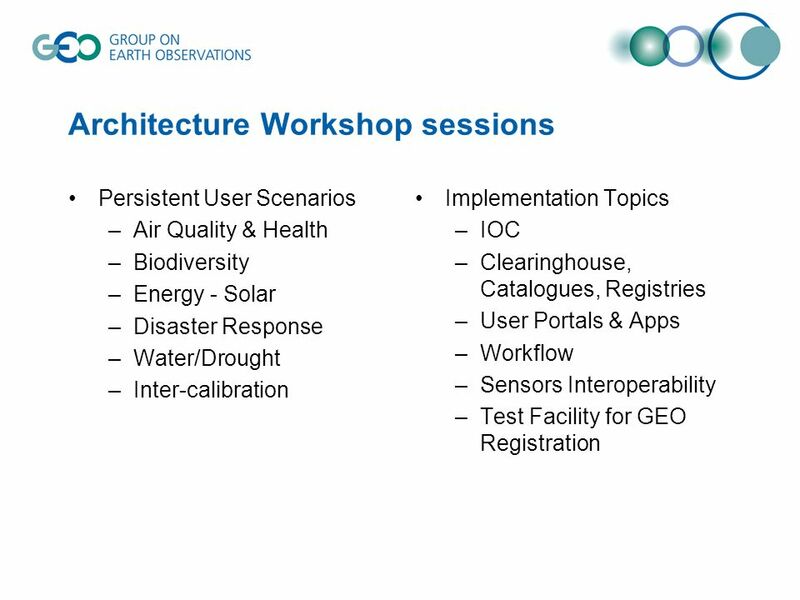 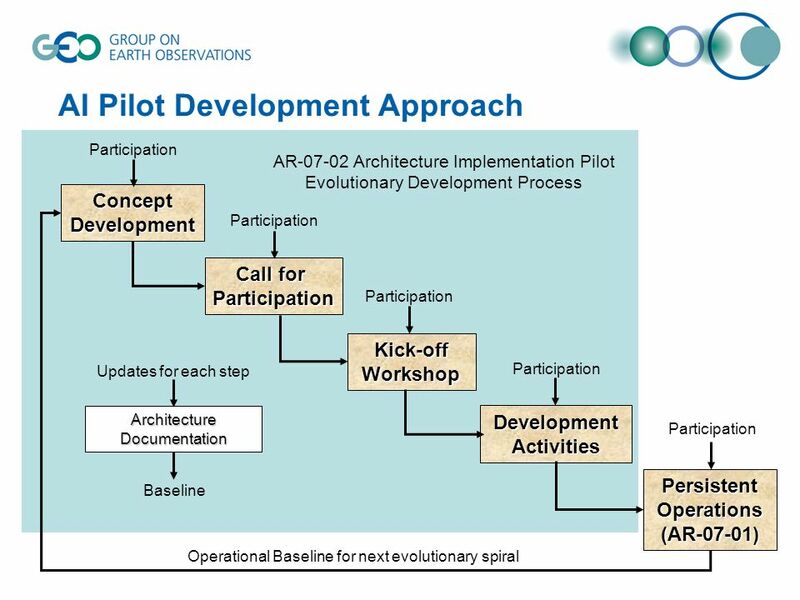 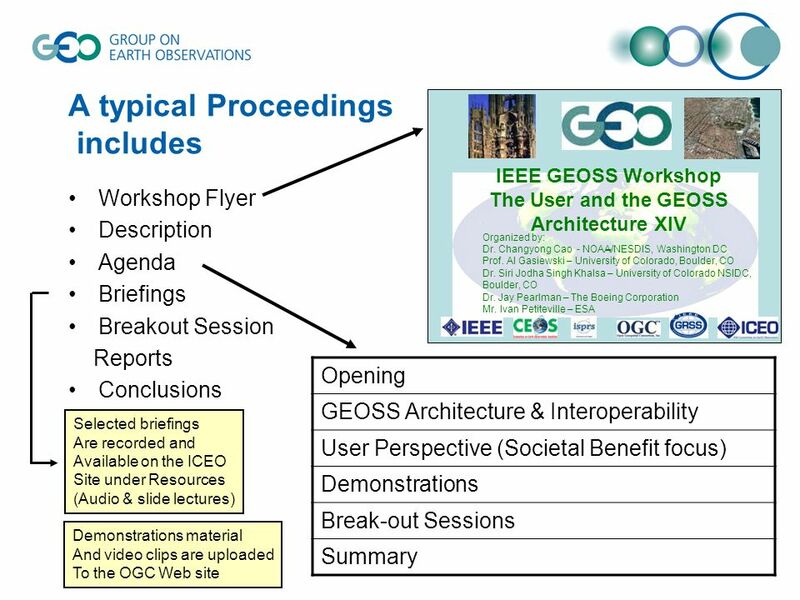 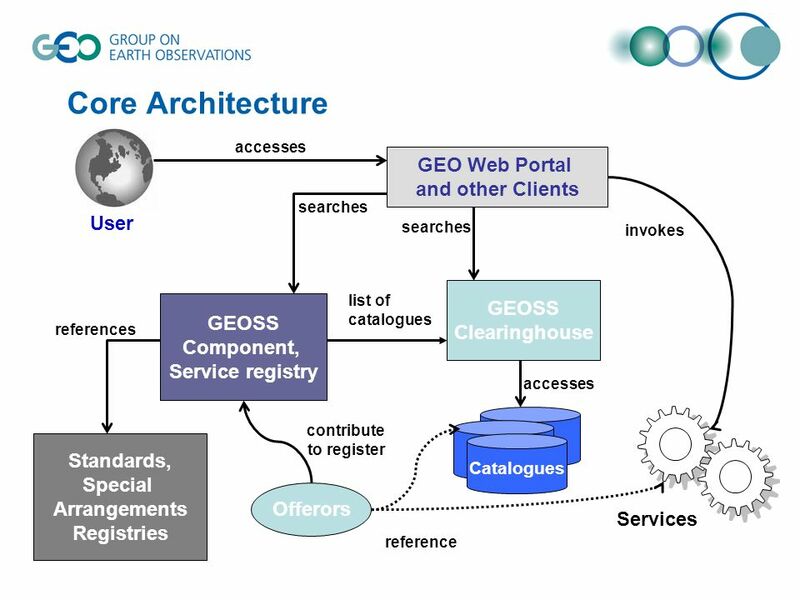 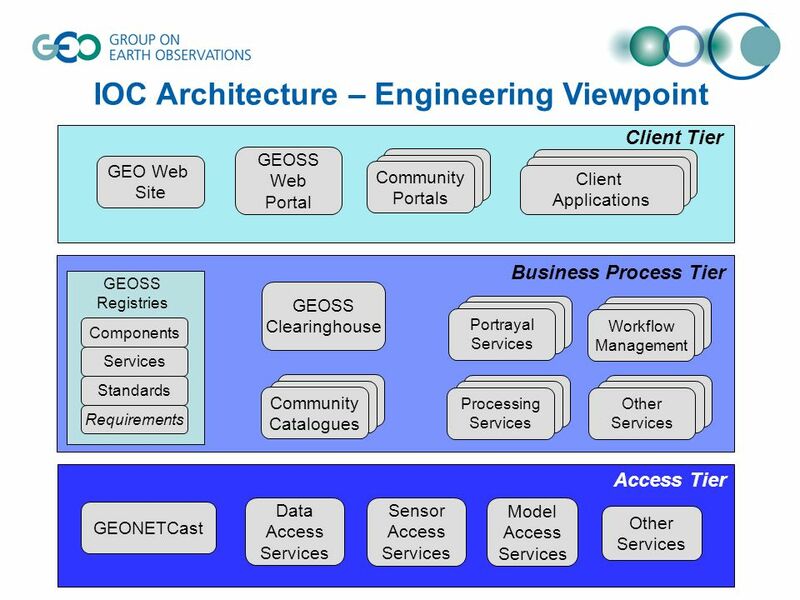 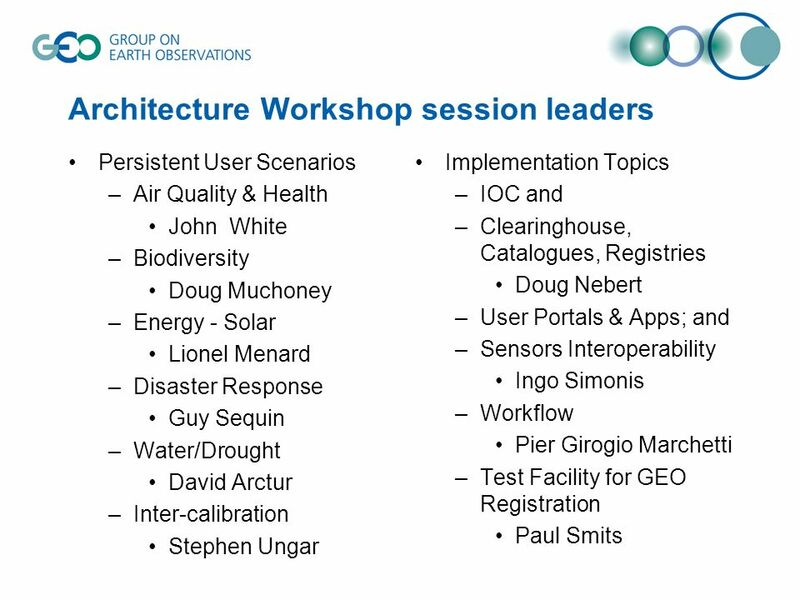 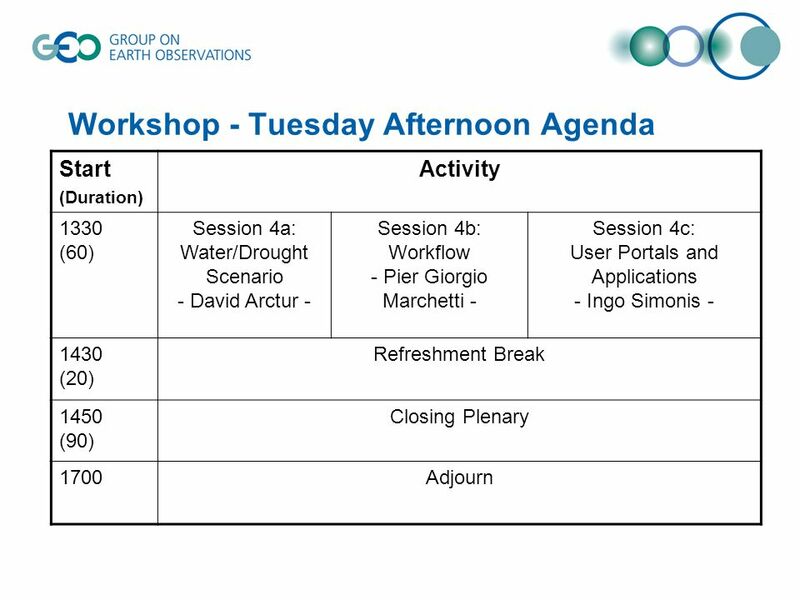 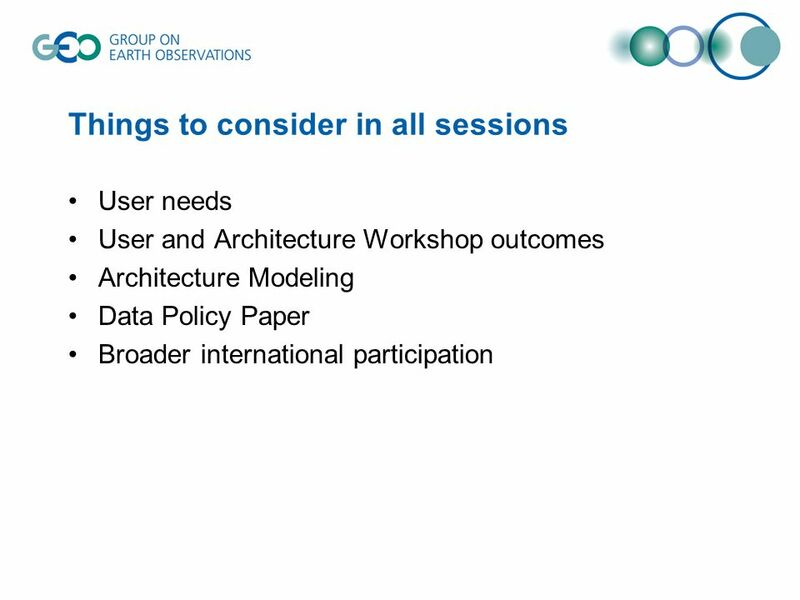 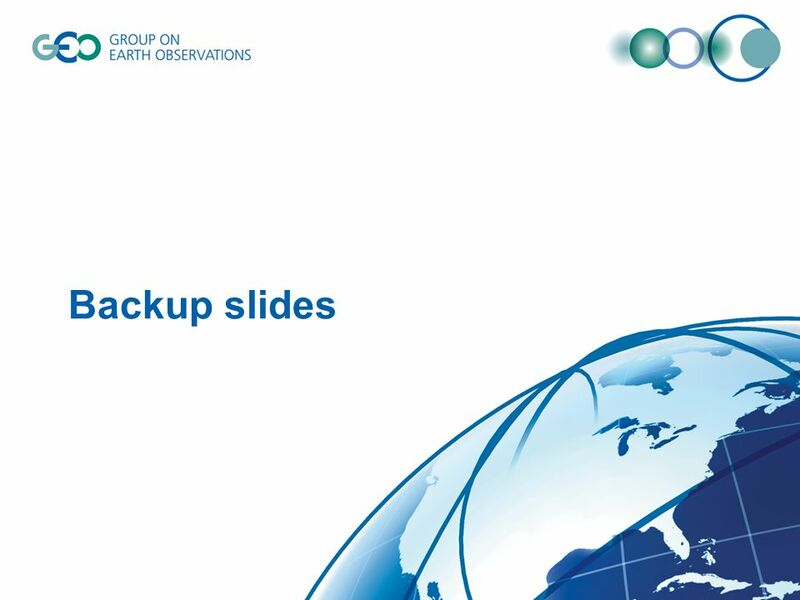 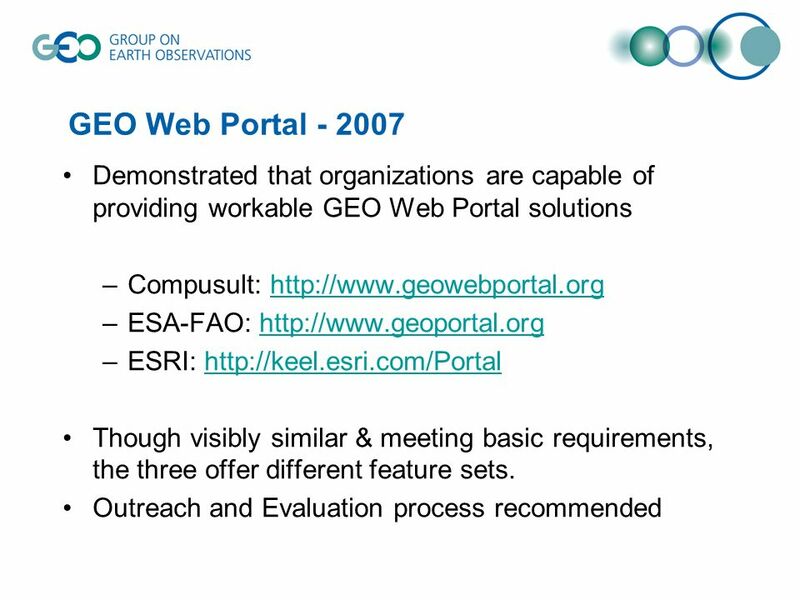 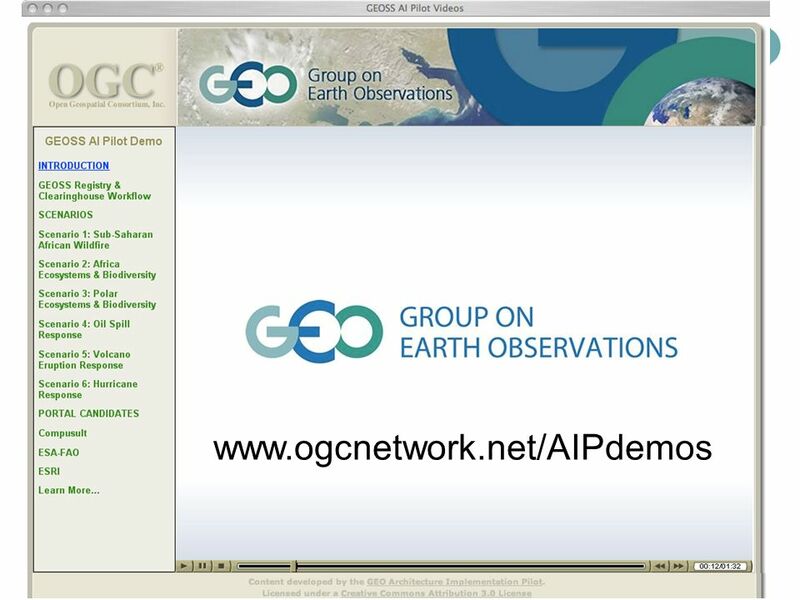 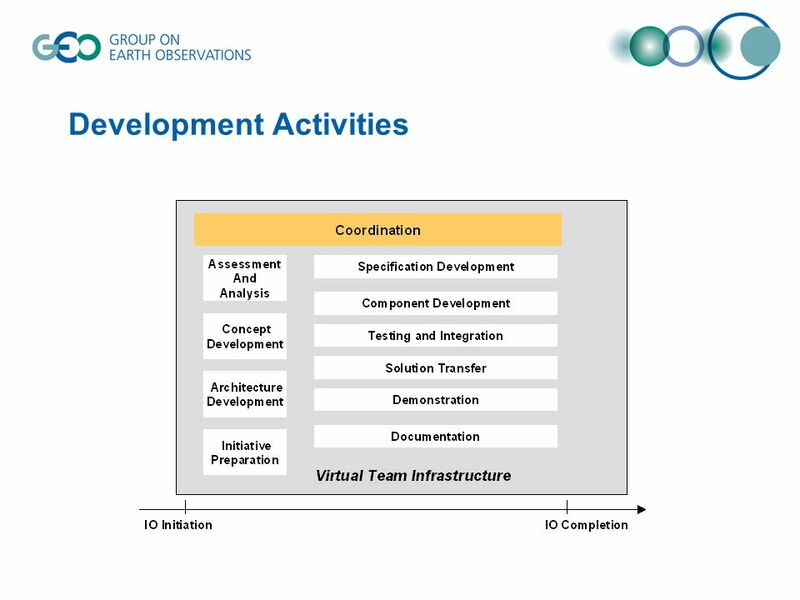 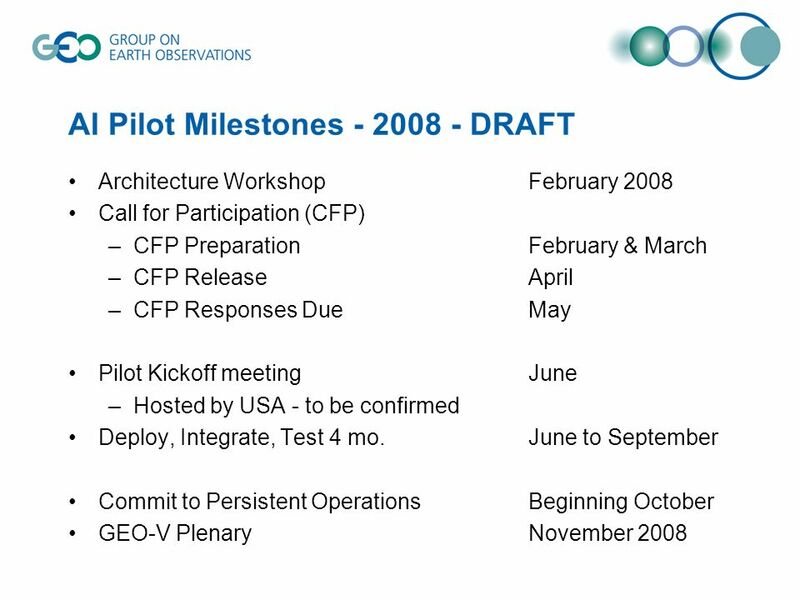 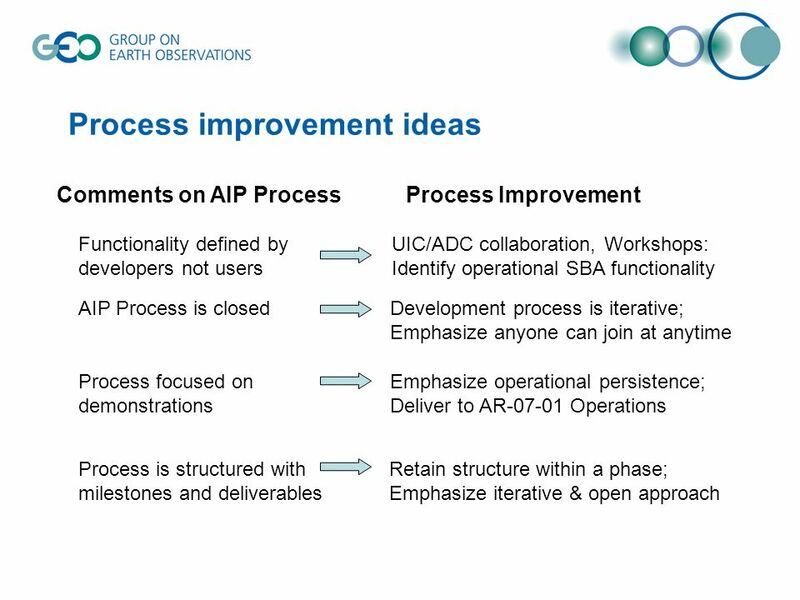 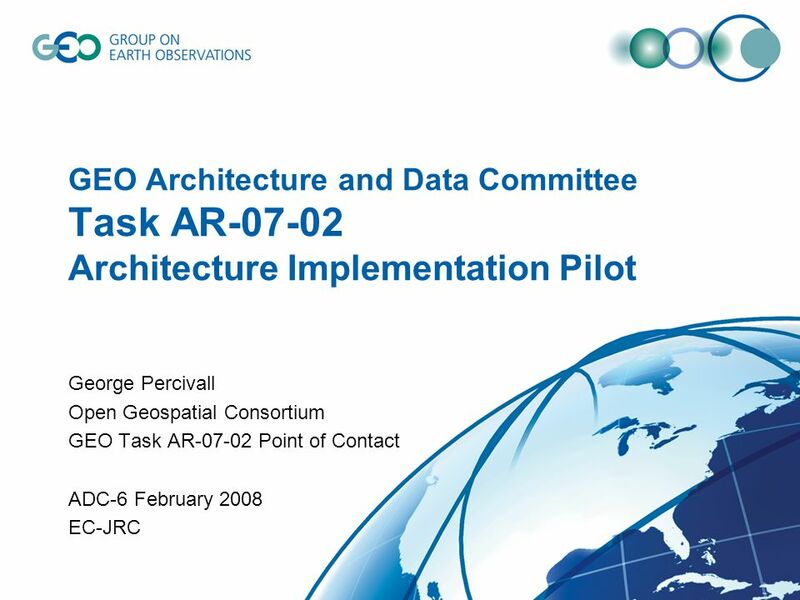 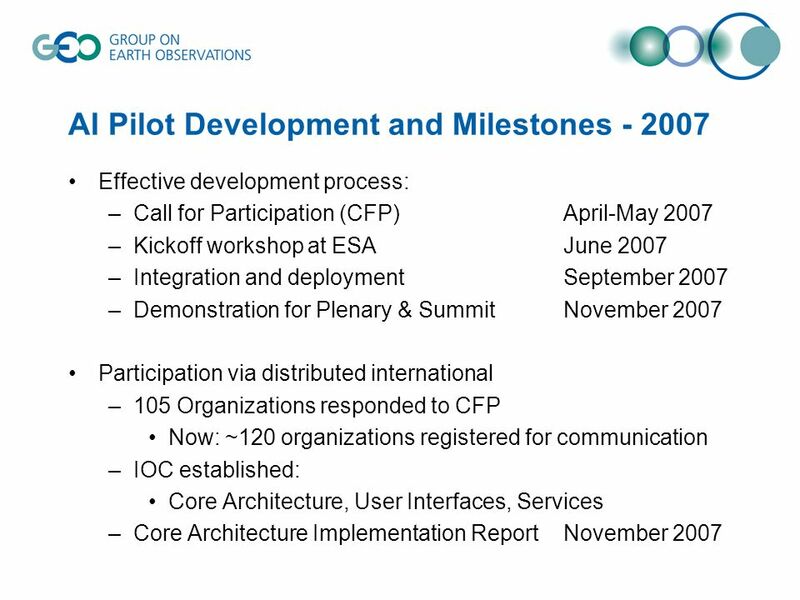 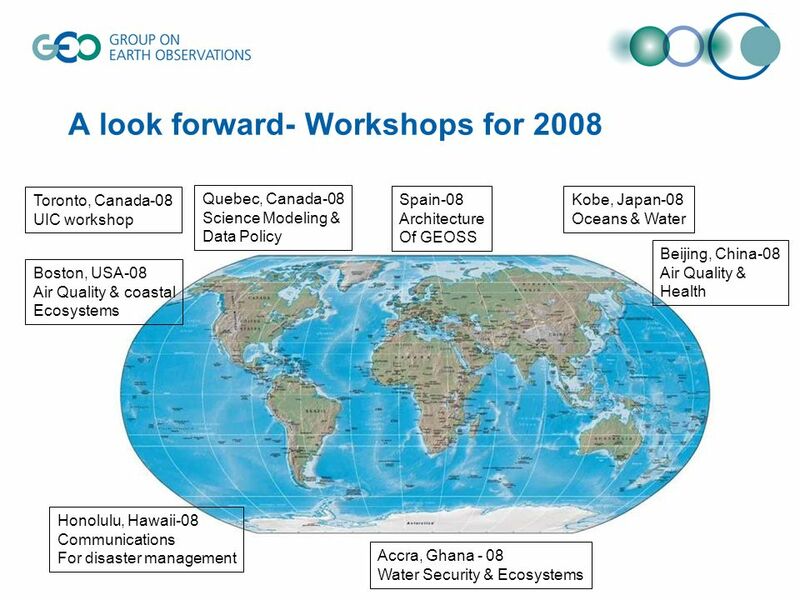 Download ppt "GEO Architecture and Data Committee Task AR-07-02 Architecture Implementation Pilot George Percivall Open Geospatial Consortium GEO Task AR-07-02 Point." 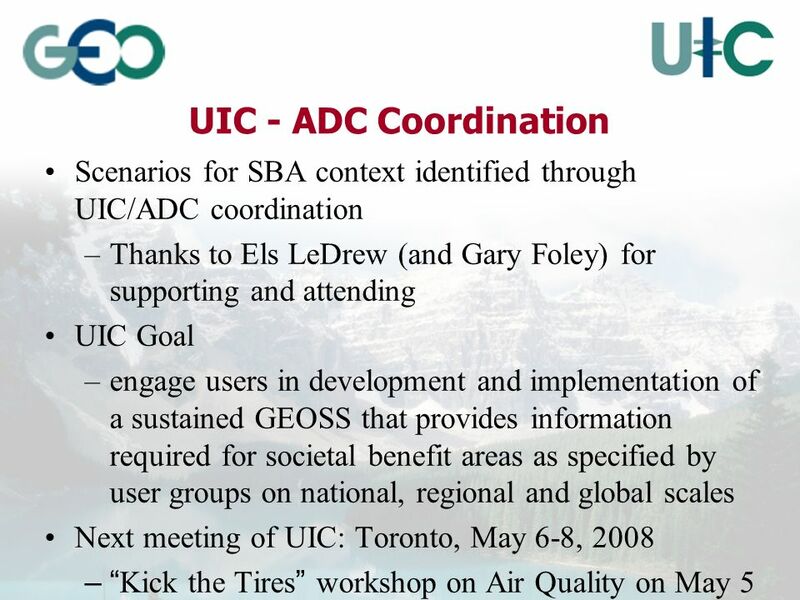 GEO Task AR AIP-2 Kickoff Workshop NCAR Mesa Laboratory September 2008. 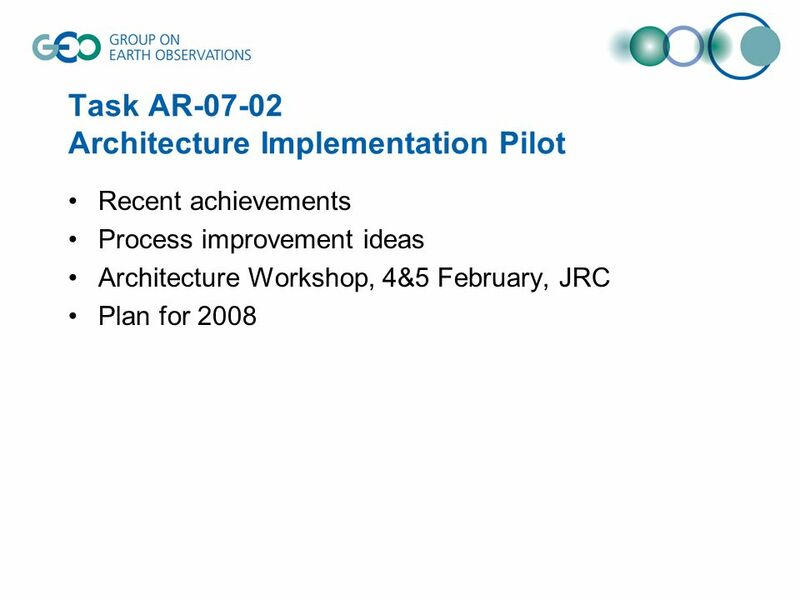 GEO Task AR Architecture Implementation Pilot, Phase 2 (AIP-2) Kickoff Workshop NCAR Mesa Laboratory September 2008. 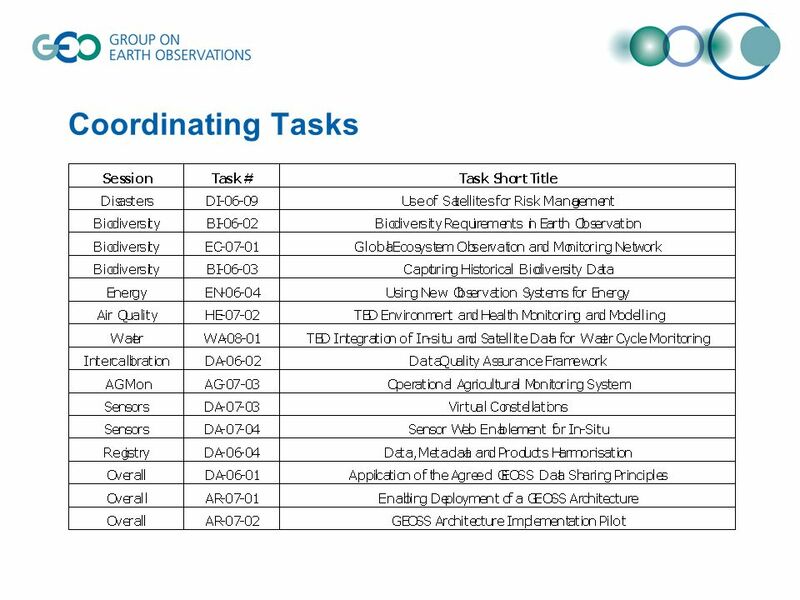 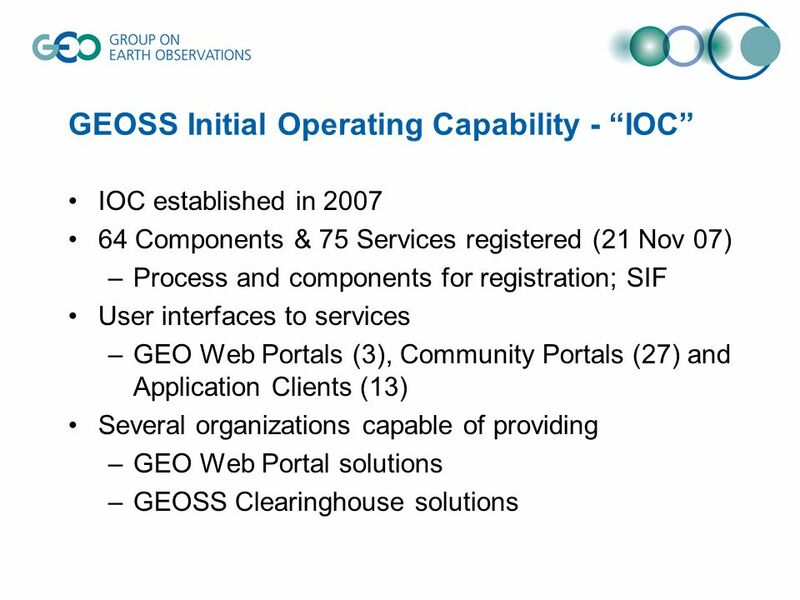 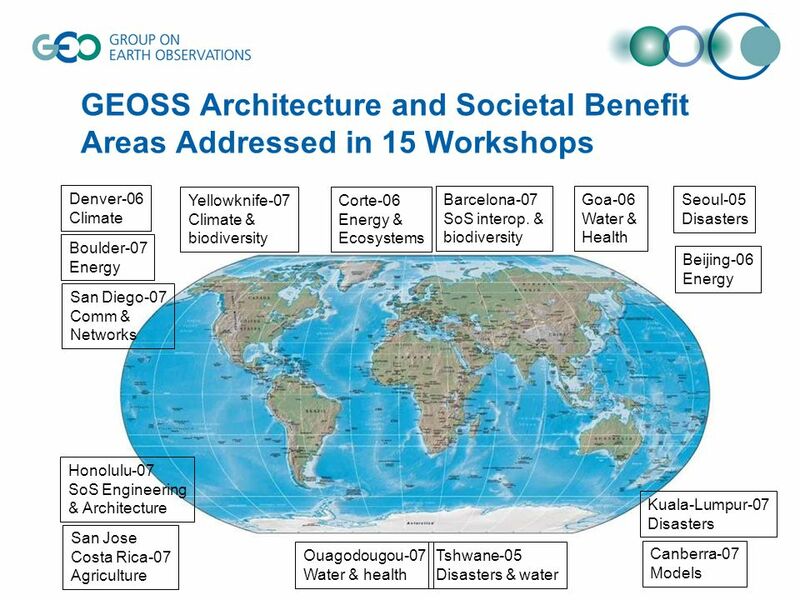 GEOSS Task IN-05 Architecture Implementation Pilot AIP-5 Point of Contact: George Percivall Open Geospatial Consortium (OGC) March 2012. 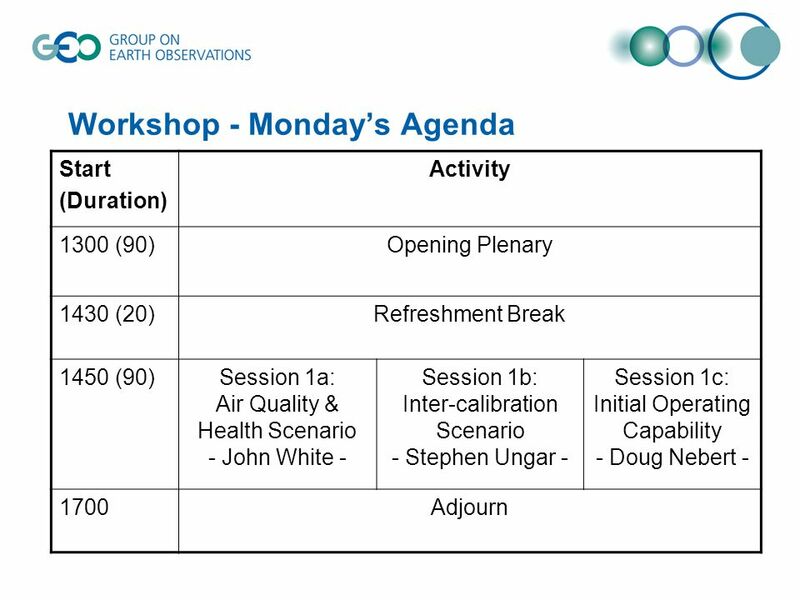 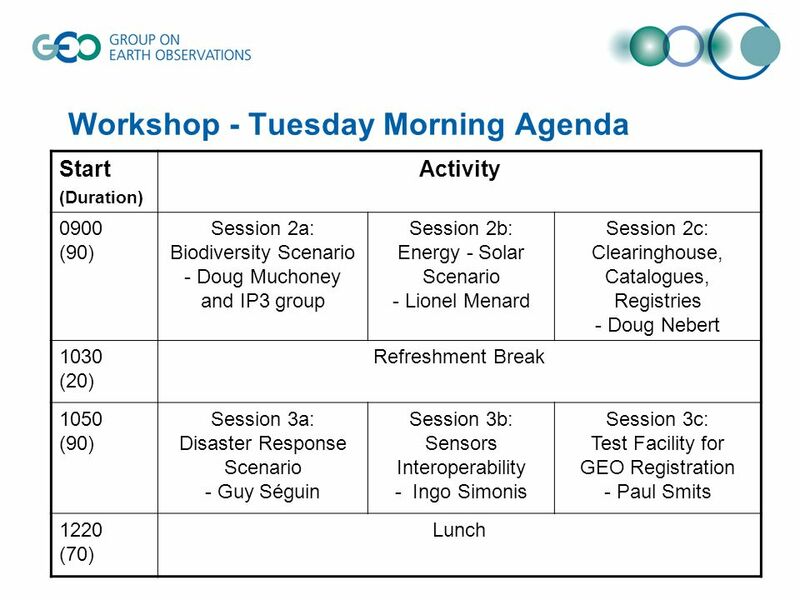 GEO Architecture and Data Committee Architecture Workshop Hosted by the European Commission At the Joint Research Centre February 2008. 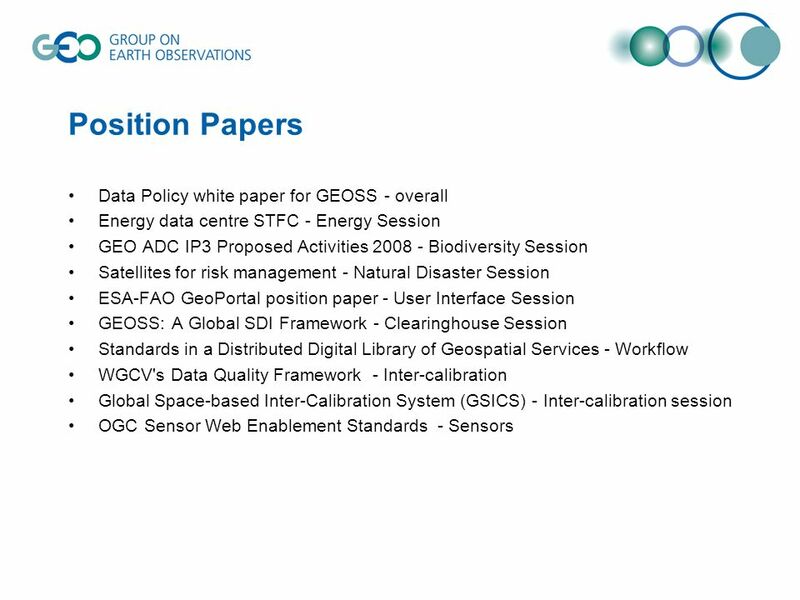 Sensor Web Enablement and GEOSS Presented by: Terence van Zyl. 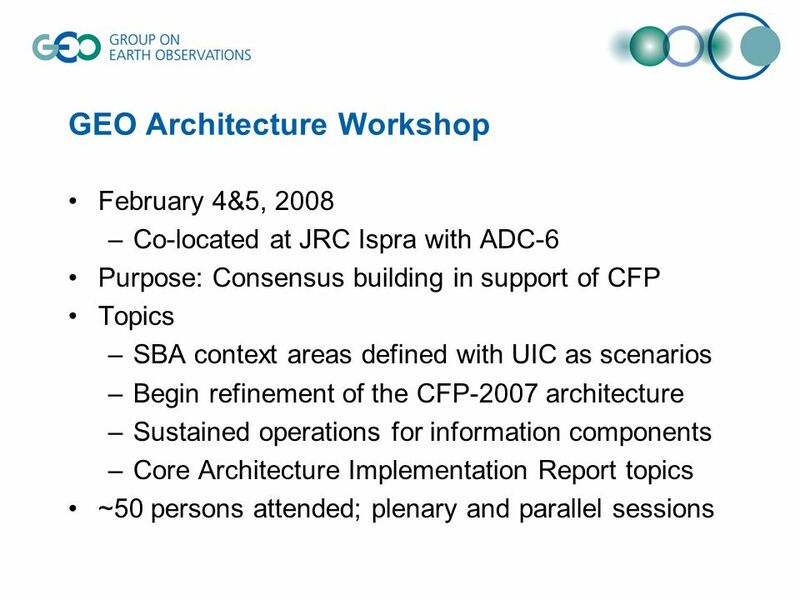 Report of the Architecture and Data Committee (ADC) for the C4 Meeting Ivan B. DeLoatch, ADC Co-chair June 2008. AR-07-01 – Issues for Attention Tactical and Strategic Guidance documents – what is the agreed approval/ publication process? 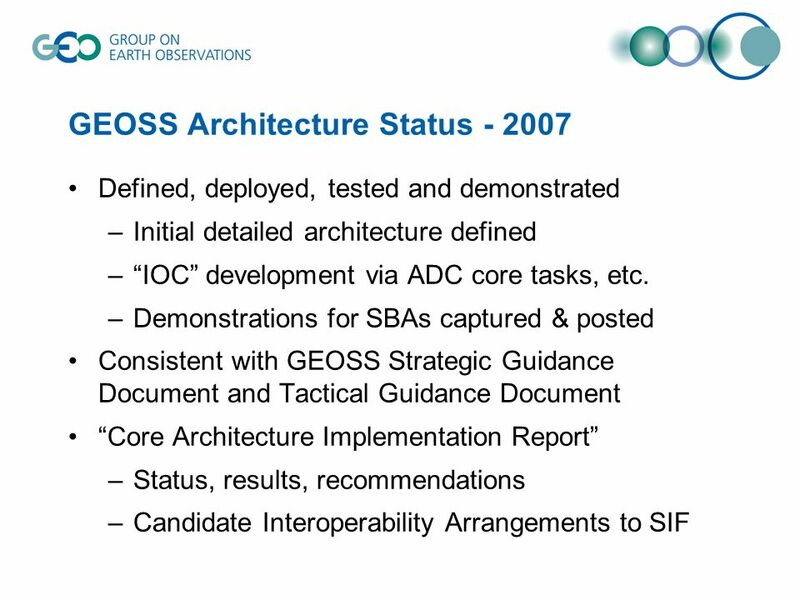 –Strategic Guidance will.